The AFL's Other Big Game Medallists — The Mongrel Punt Become a Patron! Whilst there is no love lost between Collingwood and Carlton, the rivalry is does not appear to be as heated as it once was. There is 125 years of history between the two clubs, and in the days of suburban rivalry, attendances at their clashes would regularly push beyond 80,000. Over the past few years, those attendances have fallen, with 71,759 in 2015 being the highest attendance between the two clubs since 2012. In 2014, the teams drew 40,936 to their game - the lowest total since the 1920s. Carlton’s lowly position in the competition over that duration may have more to do with that than a cooling of the hatred between the two clubs, but you could argue that with Collingwood’s traditional game against Essendon on Anzac Day, a new generation of supporters now see that rivalry as more important. But Collingwood is not the be all and end all of rivalries in the AFL. Far from it. In South Australia, the passion and tension of the Showdown matches pitting the Crows against the Power has to be seen and felt in person to truly appreciate it. It feels like a life or death situation… only more important. Likewise in Perth, emotions boil over as the Eagles and Dockers clash twice a year. The Showdown and the Derby are every bit as important to the fans of the clubs involved as the Anzac Day, or Dreamtime clashes, perhaps more so. These aforementioned games are played with the intensity of a final. They are all worth only four points, but feel as though the victory means a whole lot more, not only to those playing the game, but those watching, living and feeling every moment of them. Performing well in a final is the barometer for an AFL player. Reputations are made and destroyed by the way a player goes about it on the big stage. 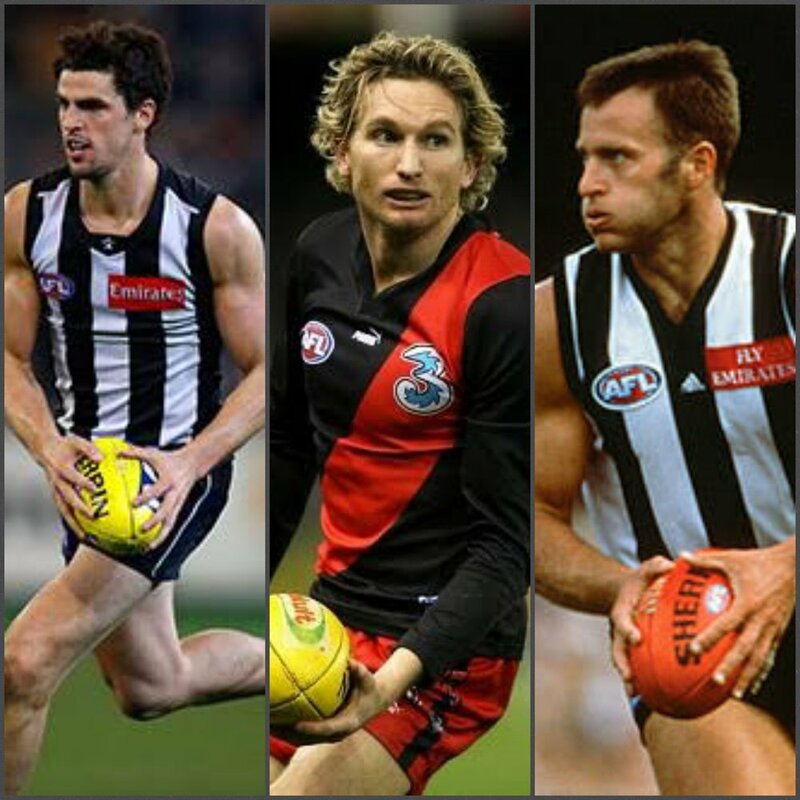 Players like The Dominator, Wayne Johnson, Dermott Brereton, Andrew McLeod, and Kevin Bartlett enhanced their standing in football circles with big games on big stages. We’re now reaching the point where big performances in the season’s marquee games, such as the Derby, the Showdown, Anzac Day and Dreamtime at the G are held in the same regard. James Hird stands alone at the top of the heap when it comes to playing well on Anzac Day. Three times, the Essendon champion has been awarded the Anzac Medal for his excellence in that game. From 2000-2004 Hird took home three best on ground awards in what many consider the biggest home and away game of the season. Collingwood captain, Scott Pendlebury has the chance to equal Hird’s record if he can capture one more medal in the coming years. Pendles won back-to-back medals in 2010-11, emulating the efforts of Hird in 2003-04. Sav Rocca booted nine goals to win the inaugural medal in 1995 (awarded retrospectively in 2011), and added another to his name for his seven goal effort in 1998, and Dane Swan has a couple to his name as well in 2012 and 2014. In 2002, a young man named Mark McGough, in just his second AFL game, notched 24 touches to claim the medal. It was a career highlight for “possum eyes” McGough, as he was no longer at Collingwood by the end of 2004, and gone from the league by the end of the 2006 season. As Dreamtime at the G gets bigger every year, the award for best player on the ground becomes more prestigious. Attendances have not dropped below 56,000 for the game since the inaugural game, with over 80,000 attending five times. The AFL’s current golden child, Dustin Martin, is the only player to have earned two Yiooken medals thus far, going back-to-back in 2016-17. Hird gets another look in here, claiming the medal in 2007, and other big names such as Trent Cotchin, Jobe Watson, Brett Deledio and Brendon Goddard have all been recipients of the medal. Clashes between Fremantle and West Coast have been tough contests since their inception., and if you walk away with a Glendinning Medal, you know you’ve earned it. Dale Kickett demonstrated how fired up he was when he swung for the cheap seats in Round 21, 2000. The game, known as the Demolition Derby, saw Kickett cop a nine week suspension for three separate striking charges. In the same game, the Eagles’ Michael Gardiner was reported before the opening bounce in an altercation with then-18 year old Matthew Pavlich. Amid the emotion and tension, Paul Hasleby was always able to keep a cool head. His collection of four Glendinning Medals sees him sit alone as the best Derby player of all time. He is followed by Chris Judd who collected three consecutive medals from 2005-06. If only he remained an Eagle... Michael Barlow has three as well, and there are several with two apiece. Josh Kennedy has won the last two Glendinning medals. He and Lachie Neale (also 2 medals) are the only ones who look like they could possibly challenge Hasleby’s impressive record. The presentation of this medal has not been without controversy. In Round 5, 2003, the judging panel selected Ashley Sampi as the best player on the ground. Glendinning disagreed with the decision, and proceeded to overrule the panel, instead awarding the medal to Michael Gardiner. Well, it’s his medal, I suppose. Like their clash in the West, Showdowns can be spiteful affairs. In a two-team town, these rivals haven’t just clashed on the field. I’m sure fans of either team are more than aware of an incident at The Ramsgate Hotel in Adelaide the day after another tense Adelaide-Port clash in 2002 reportedly involving up to 10 players. Of the first 11 Showdown Medals awarded, Mark Ricciuto and Josh Francou collected over half. With three wins apiece, these two can lay claim to being the best Showdown players of all time. Francou is often overlooked when talking about elite midfielders. As the teams play twice every season, he won his three medals all within the space of two years. Only teammate Jarrod Schofield interrupted his run of brilliance. Ricciuto won the inaugural medal in 2000, and added a couple more in 2004 and 2005. Most recent winner, Sam Jacobs, also has three to his name. Another best on ground could see him stake a serious claim as the best ever Showdown player. Similar to Hasleby in the West, it would be very hard to dispute his claim with four medals to his name. The Hird-Archer medal had the potential to mean something between Essendon and North Melbourne, as it wasn’t just for the best player on the ground, but for the “player who epitomized the values upheld by these legends.” Sadly, it was last awarded in 2013. It was Archer, himself who petitioned North Melbourne officials to scrap the award. There’s just no pleasing some people. The only multiple winner of the award is Brent Harvey, with a pair of them. The David Parkin Medal is awarded to the best on ground in the first Carlton-Hawthorn match of the year. Jordan Lewis owns three of these medals and is the only multiple winner. Guess he likes playing the Blues. Sam Docherty won it in 2017. The Ian Stewart Medal is awarded to the best in a designated home and away match between the Saints and Tigers. Brett Deledio has two, as does Jack Riewoldt. Interestingly, Ty Vickery has one as well. Take that, haters! The Goodes-O’Loughlin Medal was introduced in 2016 to honour the best afield in the Swans’ indigenous round game. Only winners to date are Tom Mitchell and Lance Franklin. The Neale Daniher Trophy was introduced in 2015 to be awarded to the BOG in the traditional Collingwood-Melbourne Mother’s Day Clash. Travis Cloke, Max Gawn and Christian Petracca are the three winners to date. The Peter Badcoe VC Medal is awarded to the best player in Port Adelaide’s game on Anzac weekend. It was instituted in 2004 and only Travis Boak has won it multiple times, with back-to-back medals in 2014-15. Noteworthy winners from opposition sides are Lenny Hayes (2009), Michael Rischitelli (2011), Josh Kennedy (Syd 2012), and Joel Selwood (2016). The Marcus Ashcroft Medal goes to the BOG in the Q-Clash every year. 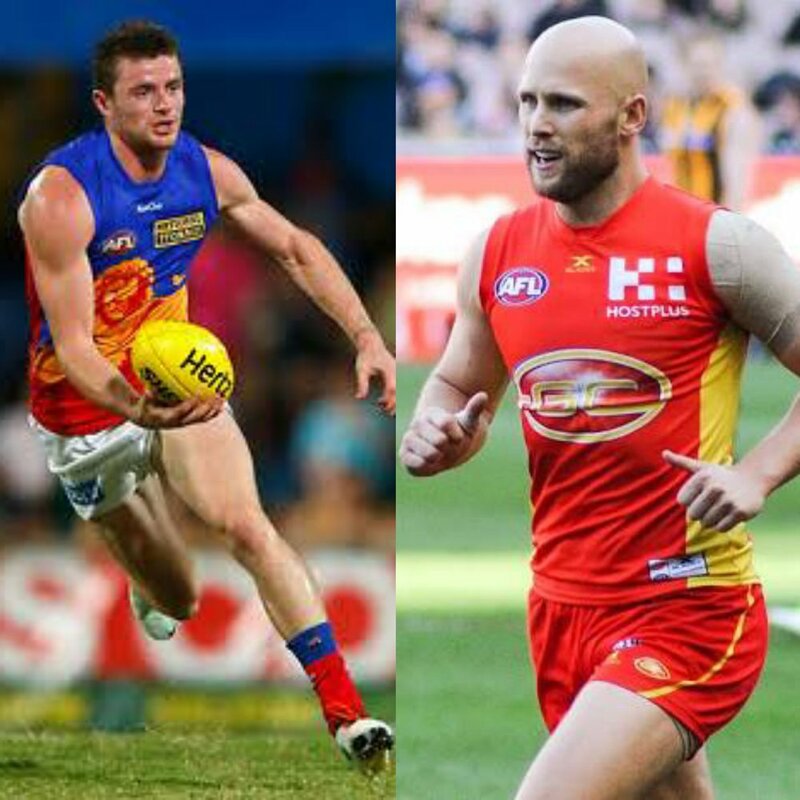 Gary Ablett and Pearce Hanley have a couple each, and Dayne Beams won it twice in 2017. The Bob Rose-Charlie Sutton Medal is decided between Magpie and Bulldog players annually. Scott Pendlebury has three of these, and Heath Shaw has a couple as well. The Brett Kirk Medal is up for grabs whenever the Swans and Giants clash. Inaugural medal was awarded in 2012, and Kieran Jack has claimed three of these for himself. The only other multiple winner is Josh Kennedy with two. Finally, the Sands of Gallipoli Medal was awarded from 2003 to the best player in the Brisbane side on the Anzac weekend of football. Jonathon Brown has three medals from 2004, 2006 and 2007, and Simon Black an impressive three in a row from 2008-10. Though the medal still may be awarded, no details are available after 2010. So, who is the best big game player? It’s hard to go past Hird, as he added a Yiooken award in 2007 to his three Anzac medals. He also has one of those Norm Smith Medals to his name as well. Hasleby never got the opportunity to play in a Grand Final, but his four Glendinning Medals are an outstanding achievement. Take your pick. If you’re from the West, you might be tempted to go with Hasleby, and Pendlebury may elevate himself to the top of the pile with another win or two before his career is over, but as of right now, James Hird has it, for mine. Whether there was a medal up for grabs or not, he just found a way to play well when it mattered. Newer PostDarcy Moore - Heading Back or Heading Backwards?